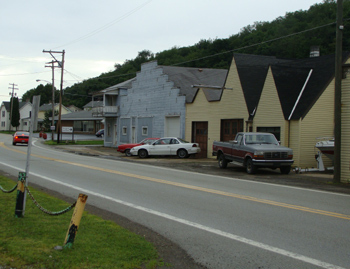 Building with three gable dormers (top center in photo above) is the White Barn Restaurant. 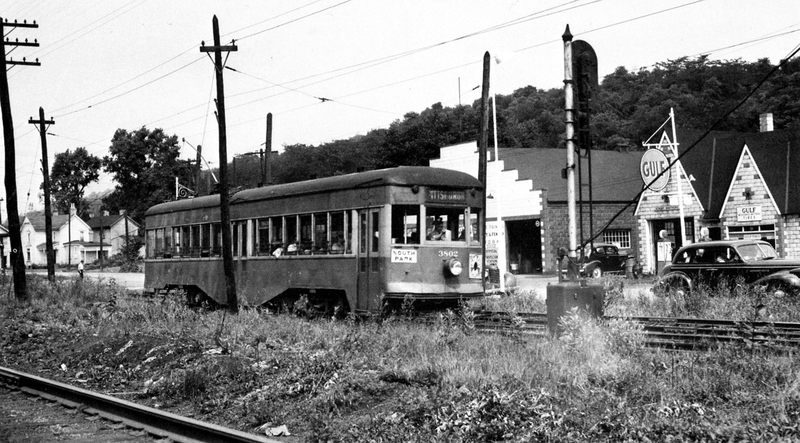 In 1947, the premier interurban equipment in the Pittsburgh Railway fleet was the St. Louis-built 3800 series. These 15 lightweight cars (3800-3814) were delivered in 1928, and were capable of speeds in excess of 55 m.p.h. 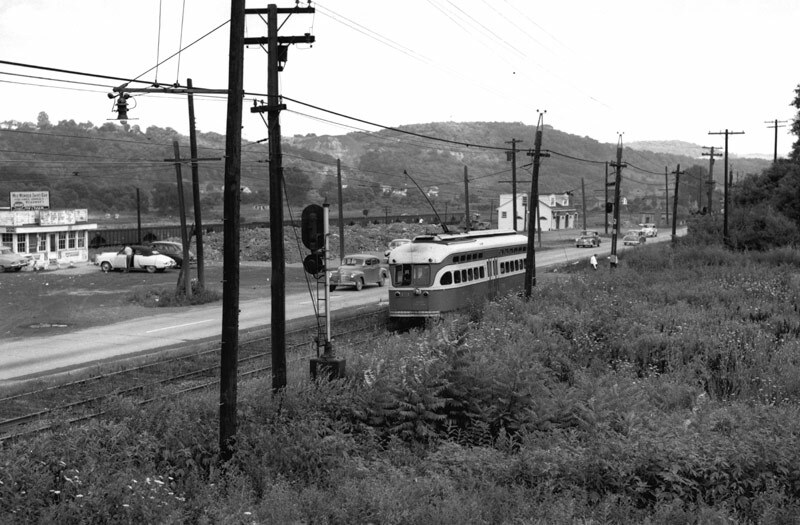 on some of the long stretches of open track on the Washington and Charleroi lines. Click photo to zoom in. 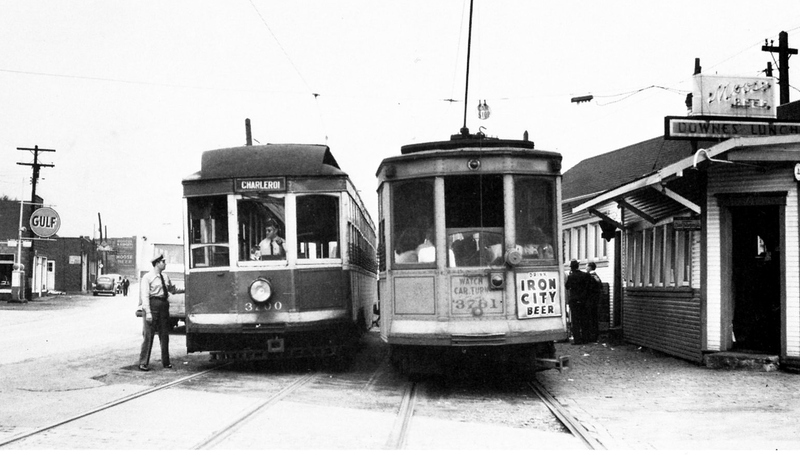 The Pittsburgh interurban fleet included two groups of cars numbered in the 3700s. 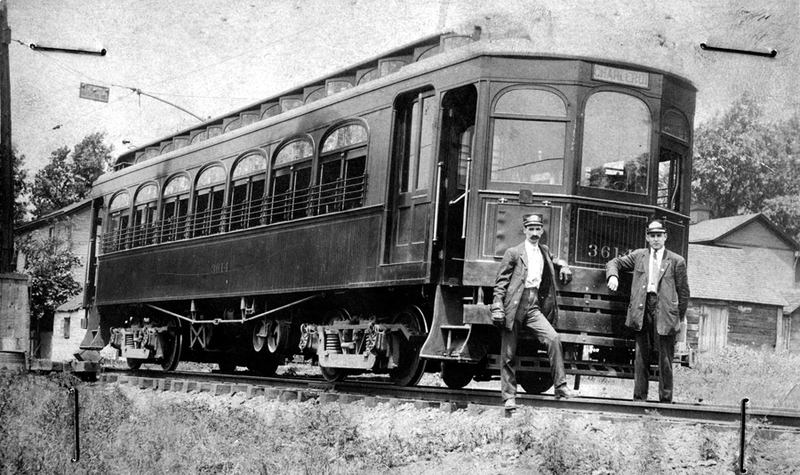 Railroad-roof 3700-3714 were built by the J. G. Brill Co., in 1917, while deck-roof 3750-3769 came from Osgood Bradley in 1225. 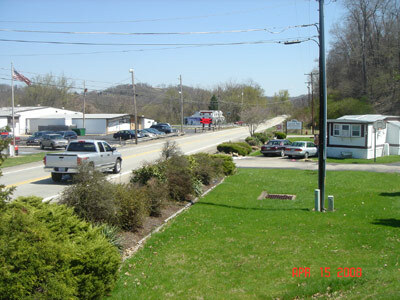 Today, an indistinguishable bare cinder patch adjacent to Pennsylvania highway 837 is all that remains of the Roscoe Loop and Downe's lunch stand. The loop at the end of the line was called the Elco Loop, but it was technically within the Roscoe Borough limits.